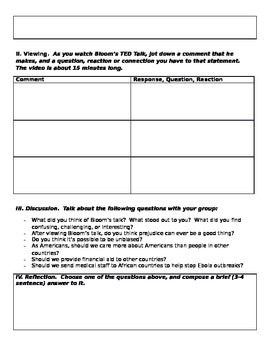 This is a two-sided viewing & response worksheet based around Paul Bloom's engaging TED Talk, "Can prejudice ever be a good thing?" I have shown this talk in class for juniors and seniors, and it always spurs debate. While the title is deliberately provocative, Bloom actually explores how identifying and accounting for prejudices are the keys to being a more critical and thoughtful member of society. Handout includes three pre-viewing questions, a three-comment viewing log section, six discussion questions for small or large groups, and a space for final reflection . 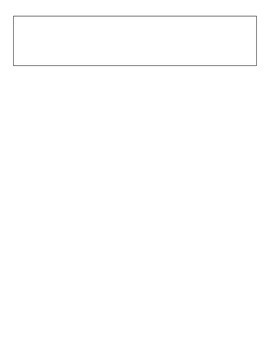 Link to video is included at top of worksheet (but it can also be found with a quick online search).